Rhythm keeps flowin’, an’ Drip’s the M.C. Those song lyrics are a good match for this week’s playlist. There’s a bit of everything in here. Good grooves, a bit of funk, a bit of dance and a bit of rock to finish it off. I don’t like to lock myself into a specific genre and I am open to most styles. Yeah, I might not seek out bluegrass music or dig into the underground hardstyle scene, but I love good music, whether it comes from a pop, rock, dance or blues background, but hell, ultimately, 90% of my playlists come from right in my Aussie quarter-acre backyard. Speaking of grooves, you’ll feel like you’ve been transported back to the ’70s with the brand new track from Genesis Owusu. A man that has the ability to change styles with every release, I am loving the direction on this one. The bass line and syncopated rhythms are a great foundation for Owusu’s cool as hell lyric and flow. My only gripe is that it’s too damn short! ‘What You Tryna Do’ – WUTD features on a double-A side release with a deeper track, Vultures. Both tracks are worth your time and perfect examples of this 20-year old’s diversity. Touring soon. Do NOT miss his live show. A couple of my favourite musicians, leftprojects, have released another beauty of a track, this time via The Kite String Tangle’s Exist. Recordings. On an exclusive release, Heaven, will again have you hypnotised by Sarah Corry’s voice and the dreamy wilderness created by Jono Graham. With every release, the group are adding to a body of work that is both emotive, exciting and creative. I strongly urge you to get on board, cause you’ll never want to get off. After featuring the title track of their album just a couple of months back, Huntly have now released their debut album, Low Grade Buzz, and it’s as good as we’d hoped. It ebbs and flows between smooth beats, luscious vocals and airy synths, all the while exhibiting a sensitive, raw, nostalgic and very Aussie depiction of everyday life. Reckoning is one of the more upbeat tracks from the album and a perfect example of how Elspeth, Charlie and Andy are changing electronic music for the better. Is there a style of music that fills you with more emotion, be-it joy or sorrow, than soul? I don’t think so. 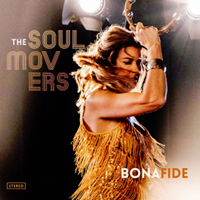 One listen to The Soul Movers album, Bona Fide, and you’ll be dancing around your house, down the train aisle or with your fingers on the steering wheel in no time. They’re a band that has been around for over ten years, but have taken the step of tripping around the USA to record this, their second album, and it shows in their big sound and killer session musos that have jumped in. Stop, Take A Minute, with it’s old-timey organ, the boisterous voice of Lizzie Mack and a band that click perfectly together will give you an idea of the sound to expect from these guys. Immerse yourself in the soul groove. With a powerful voice in both timbre and attitude, Rina Mushonga deserves to be given your attention. The Dutch-Zimbabwean combines a vocal that feel empowered, with slinky synths, alt-pop vibes and the street. 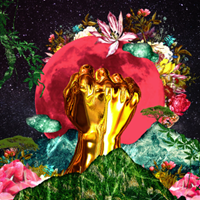 Second album, In a Galaxy, starts with this song, Pipe Dreamz and it’s a perfect start to a record that mixes a range of influences and feels from her ancestral roots of Africa to the suburbs of Peckham, in south-east London. A really cool discovery that will keep you guessing. I’ve been spruiking Triple One for a long time, but I can’t stop. They just keep getting better and better. Whether they’re spitting raps, getting down and dirty or being smooth and sensitive, there is something about them that just pulls you in. 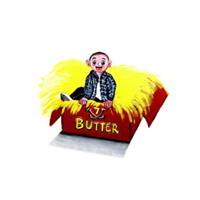 Butter proves that they can combine the hip-hop swagger that consumes the the group with story-telling and a touch of vulnerability. This song reveals some of the struggles that different members of the group have had with mental health and addiction. 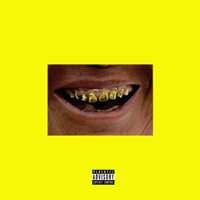 Lil Dijon contributes vocals for the hook and as usual, Billy Gunn smashes the production. Keep doing what you’re doing, Triple Oners.. When she’s not playing key-tar for Cousin Tony’s Brand New Firebird, Francesca Gonzales is making solo music that is beautifully constructed, gloriously smooth and all the while using that same rad key-tar that she treasures so much. 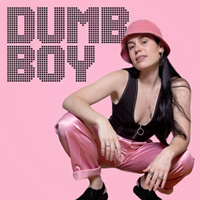 Dumb Boy is a sharp, poppy track retaining the soul vocal that we’ve come to love from Gonzales. If this is the taste from an upcoming album after the very cool self-titled EP of last year, then I’m down for it! 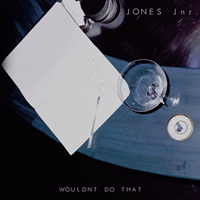 We were given a little taste of new music from JONES Jnr. earlier in the year and I’ve been hungry for more. Thankfully they haven’t let me starve with the release of new track, Wouldn’t Do That. Again, we have Ev Jones with that glorious voice, ramping up to falsettos along with taking it down to a soulful baritone. 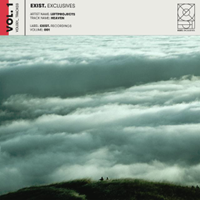 This one glides over a mix of airy sounds and samples from Morgs, jangly blues guitar and piano. It’s like we’re in a western bar with a modern spin. I am loving the direction and my appetite is well and truly whetted. Whilst I don’t love the use of auto-tune in modern music, I get the aesthetic that it’s trying to create. 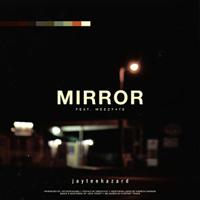 That almost robotic style of voice really suits some music and that’s where we’re taken with this latest track from jayteehazard. Meezy478 provides the enhanced vocal on this bloody amazing production that balances the line between intergalactic, experimental and orchestral. JT has always had a knack for creating something that infiltrates your senses, bringing that little sound out of nowhere that pinpoints a part of your brain that you didn’t know needed stimulation. The lyric, reflective (haha) in nature adds another dimension to the outstanding instrumentation. Another triumph from the Novocastrian magician. 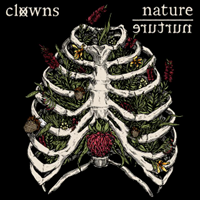 Clowns are known for their frenetic, fast and bloody loud and excellent punk tracks. The Melbourne five-piece lull us until a false sense of a ballad in this new one, I Wanna Feel Again, but 1:08 in we speed up and it feels like the Clowns we know and love. Having said that, there is a distinct softening in the delivery for this one, a taster of their fourth album, Nature/Nurture, due on the 12th April Fat Wreck Chords. There’s a personal message within the vocal, singer Stevie Williams illustrates the importance of looking after yourself and sticking to those instructions on your medicine pack.